Auto enthusiasts love how great Apex Performance Black looks. 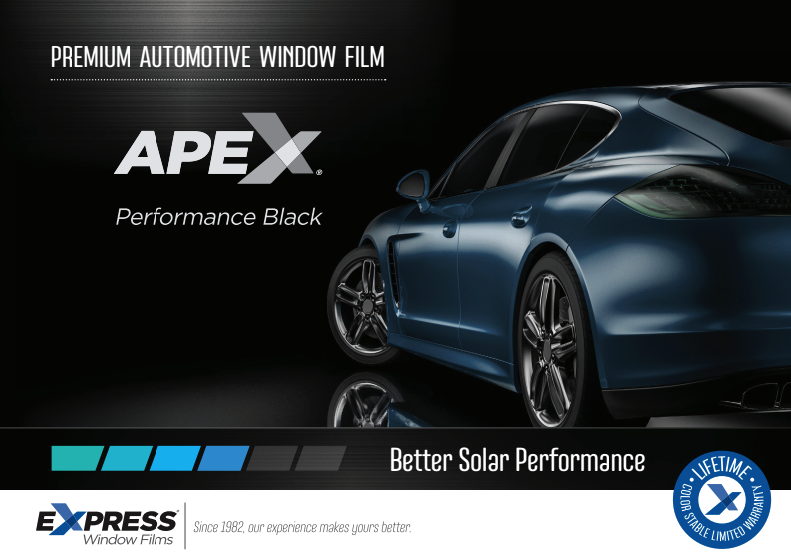 This hybrid film has a beautiful color stable charcoal/ black tone that’s ideal for matching most factory tinted glass. And, on top of great looks, the hybrid construction provides exceptional solar performance that is signal friendly and comes with a lifetime limited warranty.